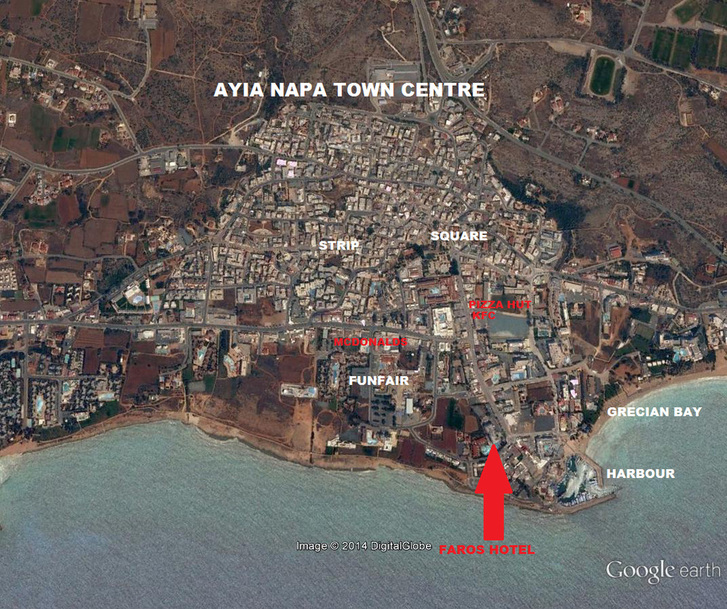 The Faros Hotel offers good standard accommodation in an excellent location. The hotel is fresh and bright with a lovely pool area surrounded by a spacious sun deck and attractive gardens. The rooms are up to date and comfortable with modern style furnishings and all the necessary conveniences for your holiday. The hotel has a choice of places to eat and drink with a poolside bar and restaurant. The Faros hotel is located right by Ayia Napa harbour. There are an abundance of excellent restaurants within the immediate area and plenty of shops and bars to choose from. The Parko Paliatso fun fair is also just a few minutes walk and the lively bars and clubs in the centre of Ayia Napa are around 10 minutes walk away. This hotel is family friendly and also popular with couples.